Dusk to Dawn images of this iconic Eastern Sierra location. 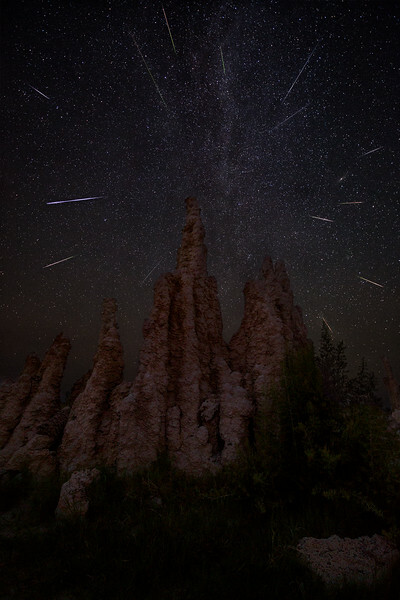 This is the Perseid Meteor Shower of 2015. I took nearly 400 images over a 4 hour period to capture the meteors that are compiled in this image. The meteors' trajectory were adjusted so as to emanate from the radiant which was the constellation Perseus.